The 2013 Ford Focus has undergone safety testing at the Insurance Institute for Highway Safety and came out a winner, grabbing the highest possible award. The Focus now has a Top Safety Pick+ rating to tout as its latest achievement and reason to buy. In a segment with a, shall we say, hit-and-miss record in the IIHS' new safety testing, the Focus has proven that Ford's commitment to safety is paying off. So far, only six small car models have received a TSP+ rating and for the Focus, this adds to its five-star rating from the National Highway Traffic Safety Administration's Overall Vehicle Score. The new Plus rating from the IIHS denotes a car's ability to earn a "good" rating (the best available) for a new small overlap frontal crash. Other ratings available are "acceptable," "marginal," and "poor." The IIHS tests include five total crash tests, including two frontal, a side impact, a rollover, and a test of the seats/head restraints during a wreck. 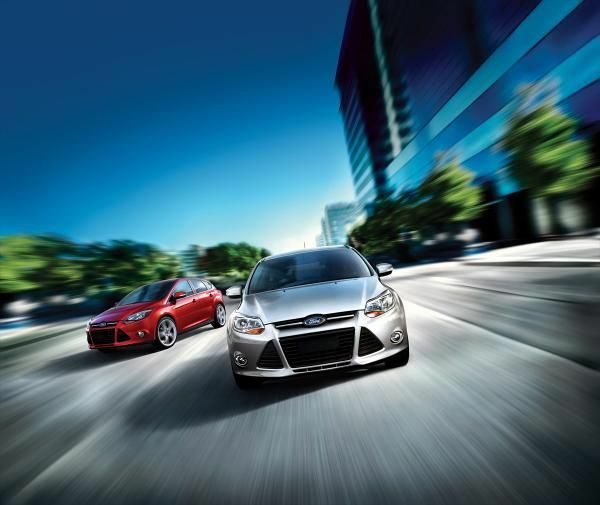 The 2013 Ford Focus begins construction with an ultra-high-strength steel structure to which advanced safety technologies are added. High- and ultra-high-strength steels are used in the bodywork as well, including boron steel in the structural elements to absorb and redirect crash forces. Ford has also added some new safety options to the 2013 Focus, including the new MyKey system, which allows parents to activate a specific set of limitations for teen drivers, including radio volume limits, vehicle speed limiter, and safety belt requirements. This is standard on the 2013 Ford Focus. The crash testing was done on both the Focus sedan and hatchback models.